Moms everywhere are in search of Rock ‘n Play alternatives after the devastating news and subsequent recall. 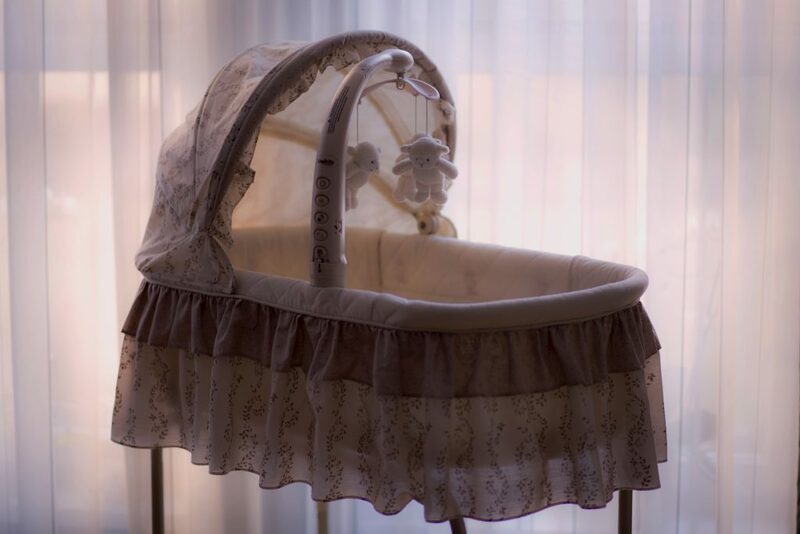 Many recommend a bassinet… but what IS a bassinet and can it guarantee a good night’s sleep like Rock ‘n Play did? A bassinet is a sleeping device designed specifically for newborns and infants. They generally have lower sides than a crib so you can easily pick up and place down newborns without having the railing dig into your stomach. Due to the smaller size of a bassinet, it is more portable and can be set up beside a parent’s bed in their room. Many can also be transported easily for travel. 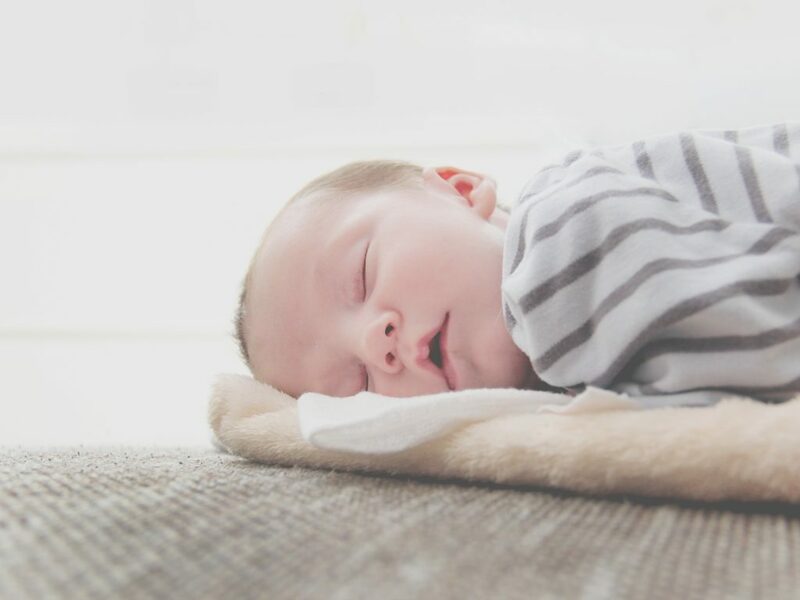 Finally, many of them (and we’ll talk more about the specific brands/types later) have additional features to help babies sleep such as vibration, swaddling, music, and rocking. An important consideration is how long can baby sleep in a bassinet. The answer varies but most babies can comfortably sleep in their bassinets for about 4 months. What Makes the Rock ‘n Play Both Magical and Dangerous? 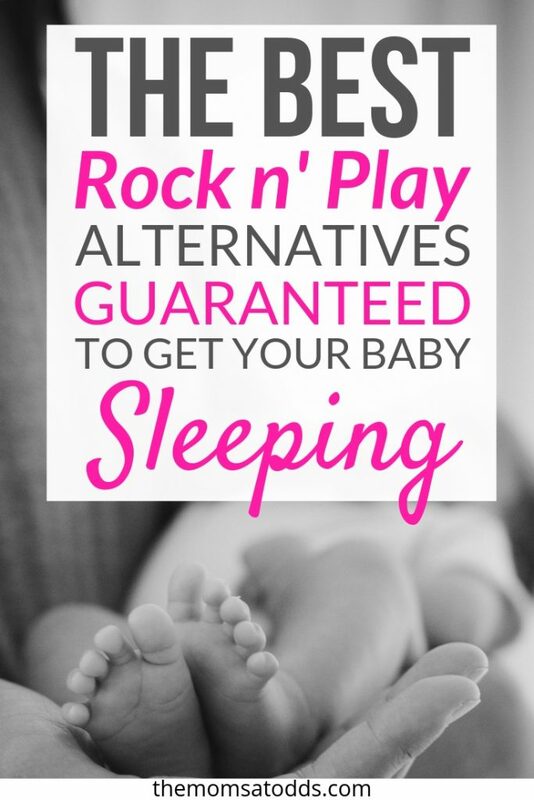 The Rock ‘n Play had some great features that made it the single most recommended baby sleep item. They’re important to discuss so we can find a suitable Rock ‘n Play alternative. It was ideal for travel as it folded up almost completely flat. There were many add-on features available to better sooth baby, including: music, vibrations, and autorocker. The biggest danger factor was the incline. Many of the deaths associated with the Rock ‘n Play were caused by positional asphyxiation (the inability to breathe caused by the position of the body). The incline of the sleeper caused baby’s chin to tuck down closer to their chest and hindered breathing. Some of the deaths were caused by the babies rolling over in the sleeper. The Rock ‘n Play manual specifically stated it was not for babies able to roll and was to always be used with the straps to prevent accidental rolling. What Are the Guidelines for AAP Safe Sleep? 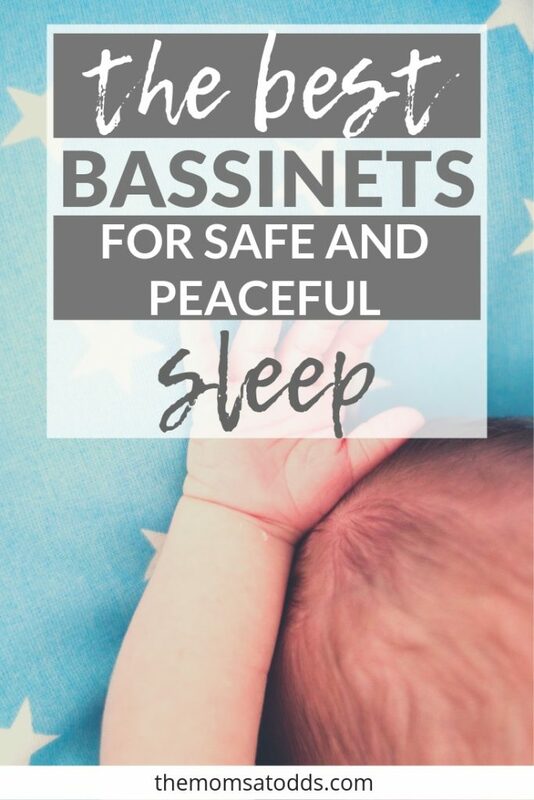 From these AAP safe sleep recommendations we can surmise we are looking for a few specific qualities in a bassinet. First and foremost, the bassinet should encourage and require the infant to sleep on their back. There should be no loose blankets between the bassinet pad and baby. Additionally no pillows should be propping baby’s head up. The bassinet should be small enough that if can fit in the parent’s room to encourage room-sharing. So by now we’ve covered the basics. 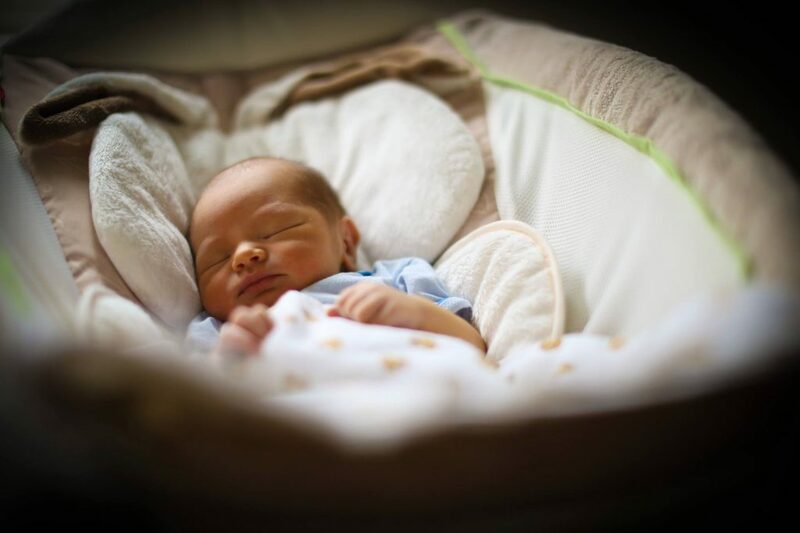 Now you can answer both what is a bassinet and why you need one. We’ve also talked about the essential factors for safe sleep so we can do the best for our babies. Why you’ll love it: This product is fantastic because it operates as both a seat for playing (similar to a bouncy seat) but also reclines to lay baby flat for sleeping. The mobile easily moves out of the way when you want to pick up or place down baby. If baby falls asleep while playing, parents can easily lay them back into the flat position for napping. When baby is laying flat there are no pillows of fabric around baby’s head to encourage safe sleep. The surface is firm and the fabrics are machine-washable. This is the smallest and most portable option, which makes it a great candidate for travel or to store at grandma’s house. Why babies love it: This model comes with a mobile and lights for stimulation, rocking feet (that you can also lock it if you want to keep it stable), vibration mode, and soothing music. Why you’ll love it: The design is very sleek and modern. See-through mesh sides are both breathable and allow you to see baby without getting up out of bed. There’s also a convenient storage area beneath the bassinet. This bassinet sways back and forth very easily and smoothly. Even the slightest movement from baby causes the bassinet to calmly sway them back to sleep. Why babies love it: This bassinet has a mobile and projector to keep baby entertained. It also comes with 30 minutes of calming vibrations, music, and sounds. Bonus points – the nightlight and music can be detached and used as a tabletop soother when baby moves to the crib in their own room. Why you’ll love it: This wonderful product can have baby both seated (similar to a swing) as well as reclined flat for sleeping. The mobile easily moves out of the way when you want to pick up or place down baby. There are 6 different gliding speeds and 2 vibration settings for individual tastes and moods. Additional safety features include a harness to prevent baby from rolling over. Why babies love it: The gliding motion can be used in seated mode to swing baby and in napper mode to provide a soothing rocking motion. There are low cushions around baby’s head that “hug” them similar to the Rock ‘n Play to feel all cozy. It also comes with 10 different songs and 5 sounds. Why you’ll love it: An ingenious all-in-one product that serves two crucial roles: sleeper and changer. On one side is a hooded bassinet to provide shade and decrease stimulation, helping baby drift off to sleep. When baby wakes up simply pick them up with one arm and turn the surface over with the other arm. It instantly transform into a changing table. Best feature is that it can be used up to 30 pounds so you can continue to use the changing table feature in baby’s room even after they’ve moved to their crib. The bassinet has 4 wheels that lock so you can easily move it from room to room. It also has storage areas beneath the sleeping/changing surface to keep diapers, wipes, and ointments. Why babies love it: This model provides 2 speeds of soothing vibrations to help calm baby. It’s also one of the easiest designs have directly beside the bed so baby feels close to their parents. Why you’ll love it: It provides baby with a firm surface and allows them to safely sleep between parents in the middle of the bed. The frame is metal (so it prevents a parent from rolling onto the baby) and the sides are mesh (to allow for proper air circulation). 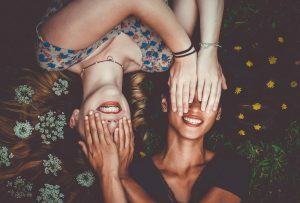 Why babies love it: Babies love being close to their parents and this is one of the safest options for bedsharing to provide them that comfort. The deluxe version includes soothing sounds, lights, and vibration settings. Don’t worry, you’ll be getting better sleep before you know it! Until then, check out these tips for how to get through the day when baby doesn’t sleep through the night.